My son Jonathan introduced me to the world of marathon canoe racing in 2011. In order to get me ready to compete in the 260-mile Texas Water Safari with him in 2012, Jonathan entered us in a series of shorter races. 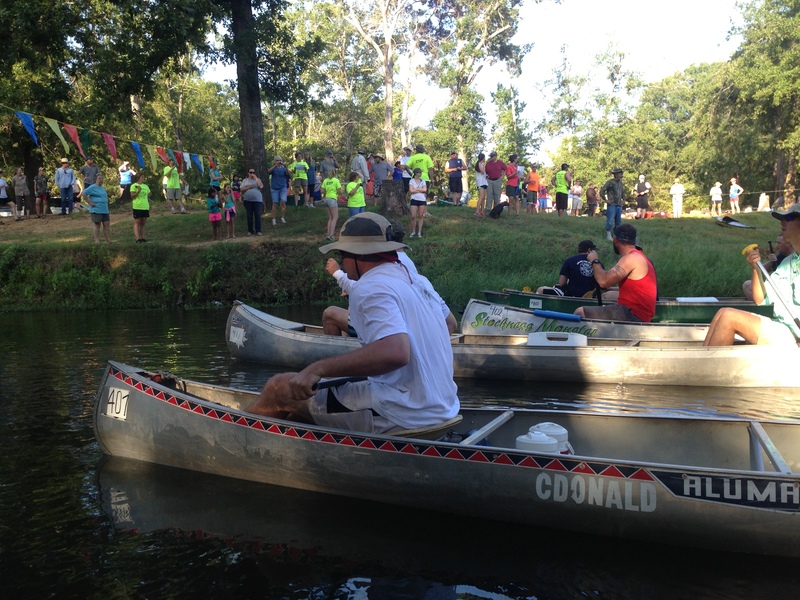 The first of those races was the Neches River Wilderness Canoe Race, billed as “The Toughest Little Canoe Race in the Republic of Texas.” And, that is exactly what it is. 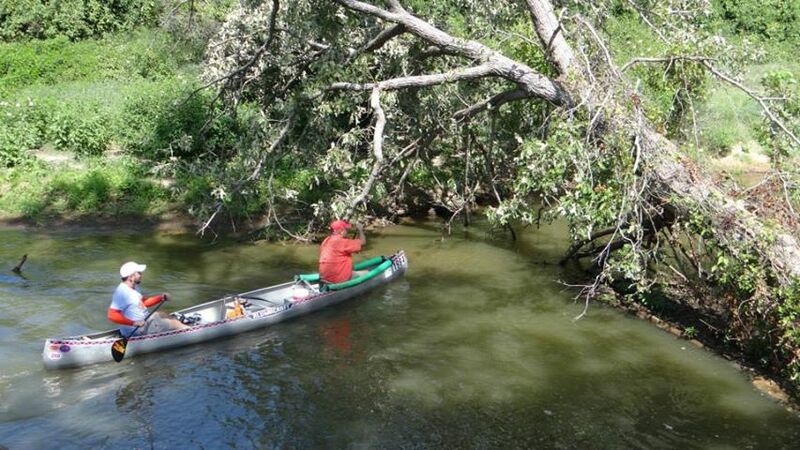 The challenging 22-mile race course is riddled with fallen trees, stumps, and submerged obstacles that serve as an equalizer to the race field. Some places along the course are so narrow and tight that racers have to get in queue just to get through. Doing the Neches race for the first time in 2011 was a fun but sobering adventure. At the time, it was the hardest physical challenge I had ever faced. But, I’m glad we did the race because it gave me an inkling of what to expect on the Texas Water Safari. Jonathan wanted me to feel and to learn to push through the pain that is a part of marathon canoe racing. Reaching the finish line 5 hours and 41 minutes after we started was beyond fantastic to me. I certainly felt a great sense of accomplishment and relief. 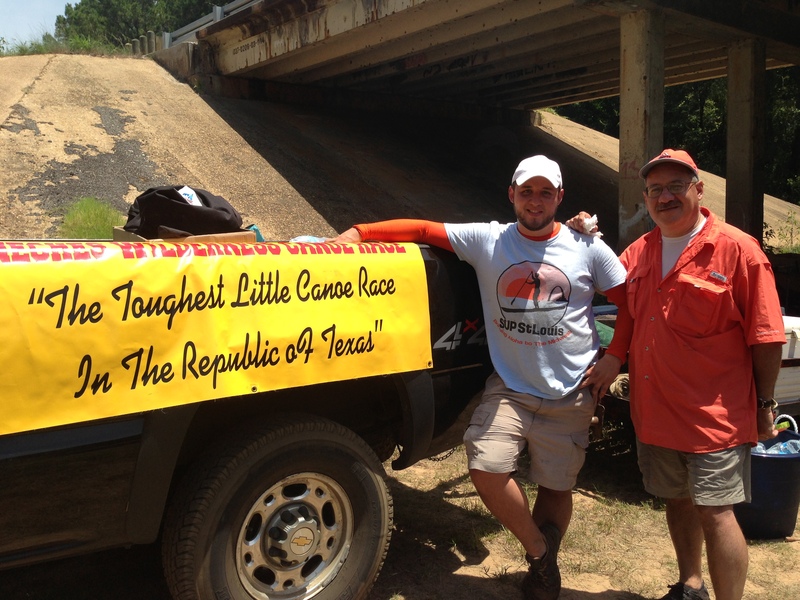 Jonathan and I returned to the Neches in 2012 only a few weeks after finishing the Texas Water Safari. A few friends commented that doing the 22-mile Neches race should be a breeze after finishing a 260-mile race. They were wrong! 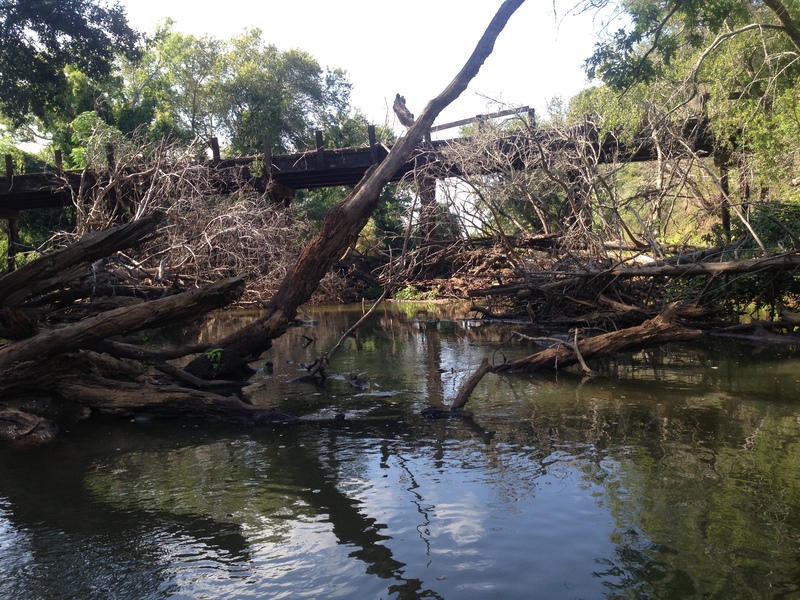 It was still hard because the Neches River course is so unpredictable, presenting ever-changing challenges. But, Jonathan and I did improve our time and finished in 5 hours and 7 minutes. 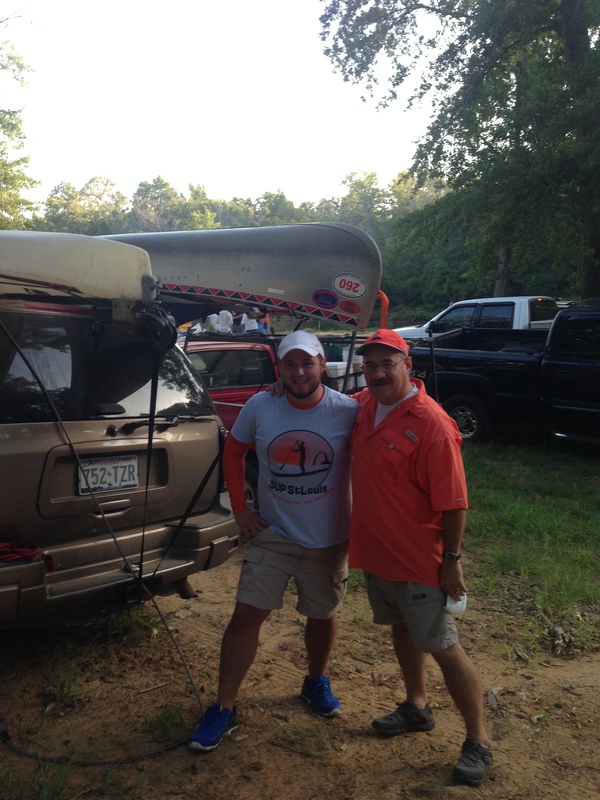 Jonathan and I met at the Neches for the third time yesterday to compete in the 2013 running of the Neches River Wilderness Canoe Race. This year was a bit more interesting. At the start of the race another canoe rammed us and turned us perpendicular to the current. A little later, we got caught behind a novice kayaker who, for several minutes, blocked the only way through the river. Frustrating! An hour into the race Jonathan broke his expensive carbon-fiber paddle. And we hit a submerged obstacle that stopped our canoe but threw us into the river where I landed on a submerged stump. I came home with a purple souvenir on my hip as a result! In spite of all of the new things we had to face on this years’s course, Jonathan and I managed to finish in 4 hours and 47 minutes. We’re happy with that time. I tend to see all kinds of metaphors and lessons for life every time I paddle down our beautiful Texas rivers. Yesterday reminded me that the unexpected can and will happen to us along the journey. When that happens, giving up is not an option. You just have to keep paddling toward the finish line. And, as always, paddling with Jonathan made facing the unexpected along the way a lot easier for me. We had a great time together. A 20 minute improvement in a 20 mile race is huge. That is 1 min per mile. And you guys probably could have been even faster if it weren’t for that broken paddle. Good job! I am so sore today and have many scrapes and bruises to show for it. We will be back though! Thanks, Brian. It was great seeing you and your family again. And, thanks for loaning us your spare paddle along the way. Congrats to you and Ian on an amazing finish time. See you again soon on the water.